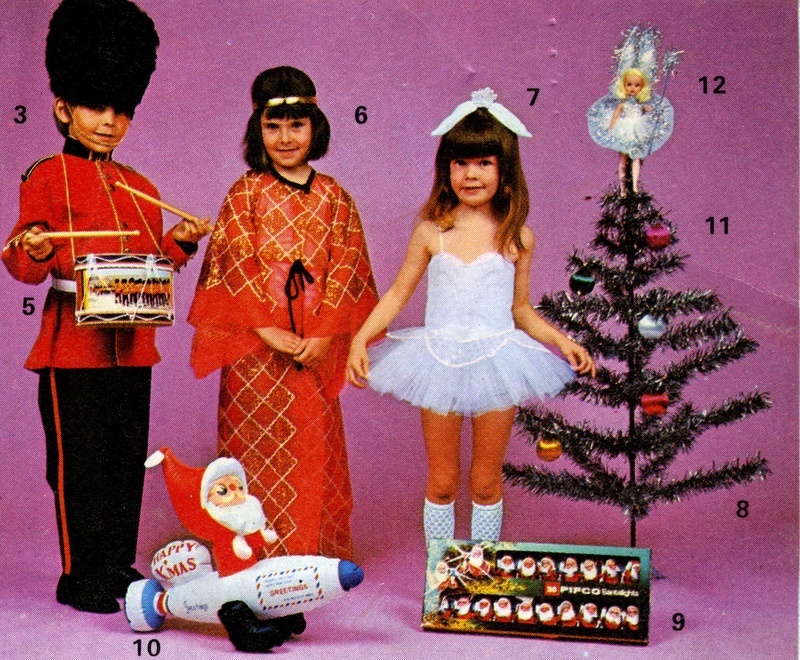 This is a photo of the 1969 Hamleys catalogue, showing a wonderful picture of a Sidepart Sindy who was dressed as a Christmas Fairy exclusively for Hamleys. The donor of the photo has pointed out her legs. They are very interesting, they look like they may be Walker legs, which would make sense as they are more poseable if you are trying to attach a doll like this to the top of a tree. She is lovely isn't she? Her wand and dress are gorgeous, and we think she has a little tinsel crown. She cost 39/6, which was a lot of money back then. 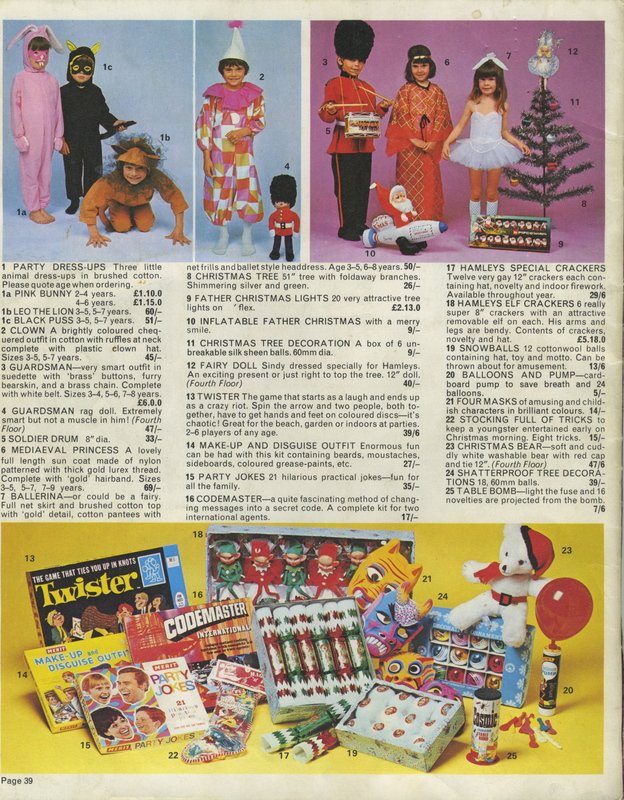 Here is the back page of the 1970-71 Hamley's of Regent Street catalogue which was released in time for ordering for Christmas 1970 - so what can you see? 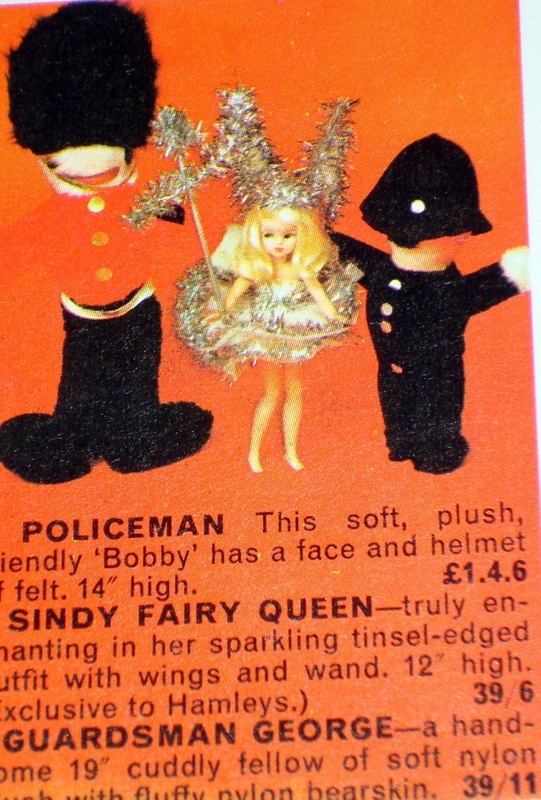 Here is the 1970 Hamleys Fairy Doll Sindy. She is still a Sidepart but her outfit looks slightly different and she now cost 40/-. That's £2.00 in new money but we dread to think how much she could cost a collector now. She was described as "An exciting present or just right to top the tree." We don't know if she appeared in any other years apart from 1969 and 1970, or whether she was dressed up for any other big department stores, but here she is in all her loveliness. We are only sorry that these are photographs and not the real thing. 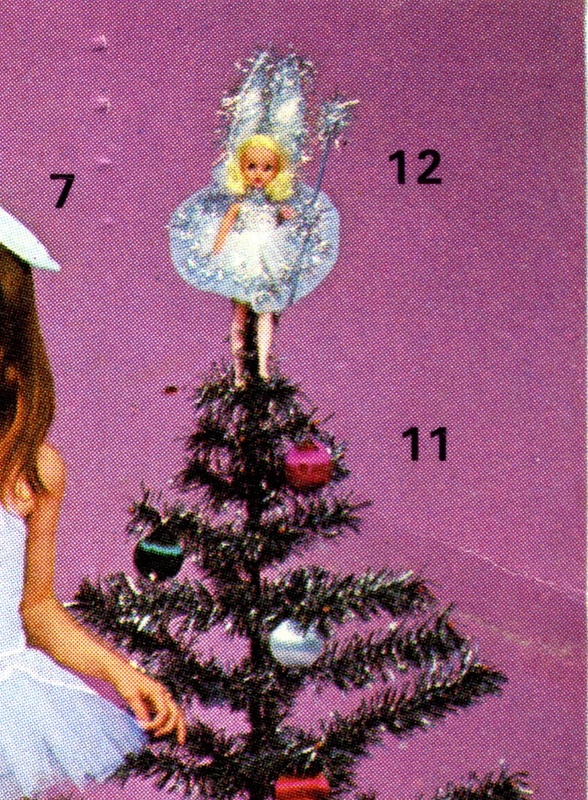 If you can provide any more information on the Sindy Christmas Fairy story do let us know. If you have a Christmas Fairy Sindy that you would like to share with other collectors, do get in touch with the Museum. Here is another Sindy Christmas Fairy, this time from the popular 1970s BBC comedy series “The Goodies” in an episode called “Earthanasia” aka “The End of the World Show”, first broadcast on the 22nd December 1977. It is Christmas Eve and the Goodies learn that world leaders have decided to end the world. They only have 28 minutes to live and so they consider how best to spend the rest of their lives. 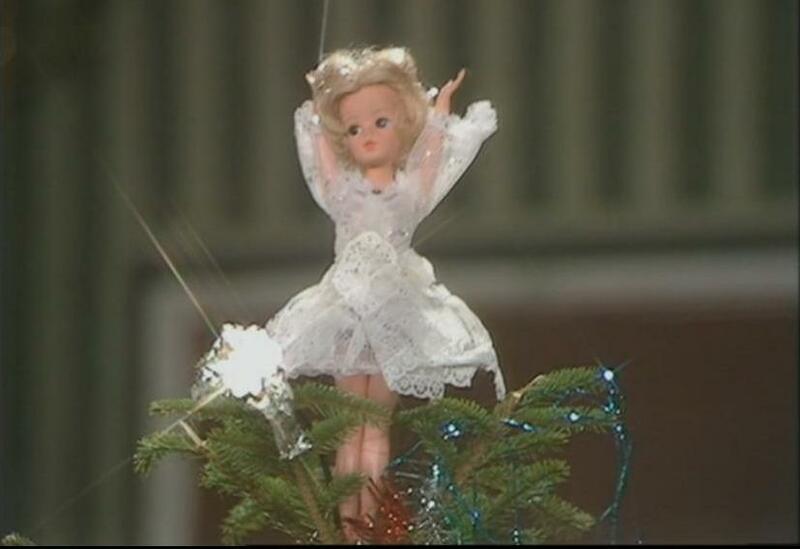 In typical Goodies fashion everything that could be parodied or spoofed was, and one sharp-eyed Museum Friend has spotted that on top of the Christmas tree there is a Sindy Christmas Fairy and has very cleverly taken a photo. As you can see, she is a dear little 1976 Funtime and we think she is wearing 1977 'Beautiful Bride' which has been gathered up around her waist. We wonder what other Sindy Christmas Fairies are out there?